Even people like The Legal Genealogist — who generally focuses on the past — occasionally need to look to the future. At least if they don’t want their readers and even their web hosting company to be annoyed with them because everything is breaking under the hood. Which is where this website basically is today. The engine is slowing down, the brake pads need replacing, the oil should be changed. 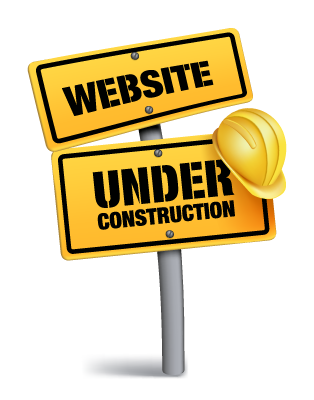 So as of right now The Legal Genealogist is, officially, under construction. That may not mean a darned thing, if all goes well. The behind-the-scenes work may all stay behind the scenes and you, dear reader, won’t see anything except (sooner rather than later) a somewhat newer somewhat shinier and — with luck — faster and more responsive face to the website. Wish me well on this voyage into the 21st century, willya? Standing by! Wishing you luck on your construction! Sending very positive thoughts. Take as long as you need to do it right. We will all be here eagerly awaiting your return. This sounds very much like my body & mind. After you fix the site could you fix me? They don’t teach that in law school, Harold!! Good luck! I just managed a huge hosting/platform move myself, and it took a bit longer than I expected but was totally worth it. I’m sure you’ll get it all figured out. Swapped your pink jacket for a hard hat? Best wishes for your construction work. I spent 3 weeks denying I had an ancestry software malfunction. But, reality finally won and I had to do a bunch of stuff all over again. I sympathize with you. I’m on the verge of starting a family-history blog. (Writing is well underway, but the technology part makes me nervous.) Before I just close my eyes and choose, I’d LOVE to know which host and which site development platform you recommend — or at least which ones you are leaving because they no longer work for you. I was using a Joomla platform within which I ran a WordPress blog. That proved to be too hard to keep updated and so I’ve switched entirely to WordPress, not using the Joomla container at all.